It is possible to make a pretty heart shaped wool pompom without buying a clever pompom machine. The result is just as stunning! You can verify this by looking at this video tutorial that explains how to make a pompon heart using just two sheets of cardboard cut into a heart shape. 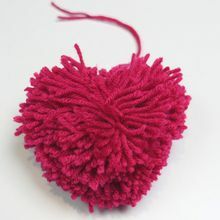 A round pompom is very cute but a heart tassel is more original! 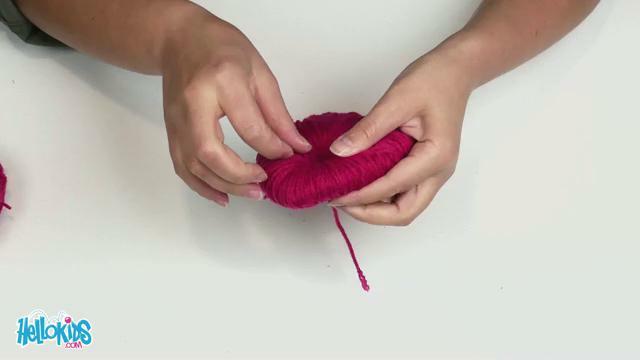 With this video tutorial you can easily make pompoms shaped heart of different sizes. 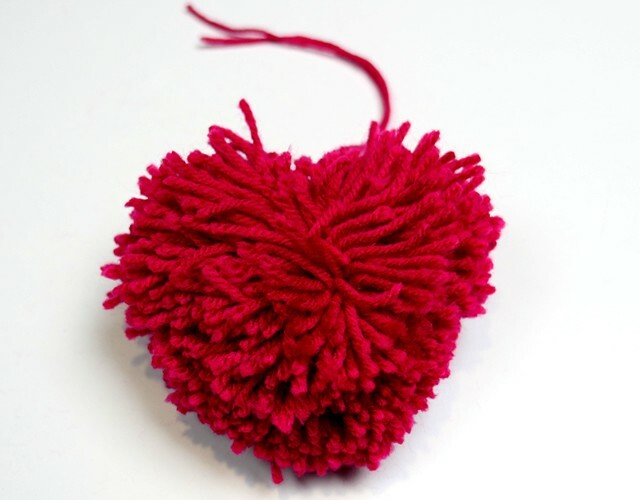 Make a small pompom heart in pink or red tones to give a Valentine's Day gift or make a big colorful pompom heart to give to your grandma for Mother's Day. 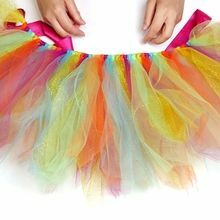 You can also make a bunch of tassels for your friends by alternating a heart tassel and a round pompom for a keychain, backpack clip or for a room decoration. Decorative options are endless with wool tassel Pompoms. Level of difficulty: from 8 years. Print the template with the different sizes of hearts at the bottom of this page. Choose the size of the desired heart and cut the template without forgetting to cut the middle part. Then reproduce the core model two times to duplicate on the cardboard, and then cut the two forms. Overlap the two hearts of cardboard then start wrapping a piece of wool (reasonable length to prevent the wool from becoming tangled) around heart model. Wrap the yarn around hearts until you cannot place your finger in the central part. It is important to emphasize the corners and curve form and distribute the wool evenly to retain the shape of the heart to the end. Once this step is completed, part the strands of wool until you see the edge of the cardboard hearts. Then, using the scissors, take your time to cut all strands of wool between the two heart cut outs. Then slide a strand of wool between the two cardboard pieces and tie it between the heart to be able to suspend the shape in the right direction. Then remove the 2 pieces of cardboard. Finally, give a nice shape to your heart tassel and do not hesitate to correct the curves and the tip with scissors. The last step is crucial and requires attention to detail. Do not hesitate to ask for help from your mother if necessary. Your creativity is limitless and most beautiful displays with heart shaped wool pompoms are within your reach. 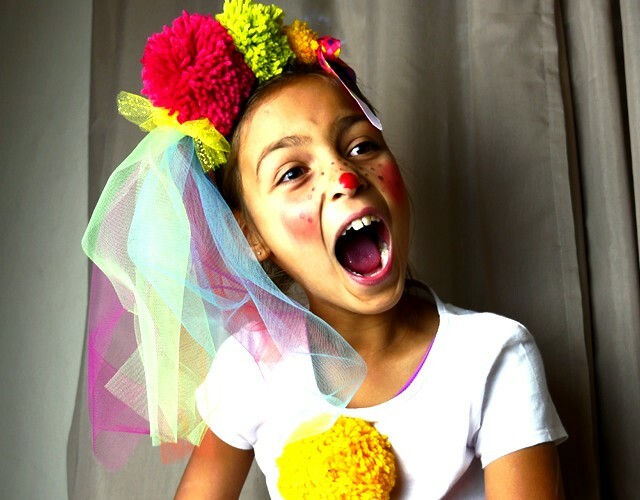 Imagine, manufactures and combines your pompoms love all your creations.